After my company relocated our family from Louisiana to Georgia in 1993, we began making frequent return trips home for holidays and special occasions. Over the first few trips, we always overpacked! The trunk of our vehicle was nearly full, our 3 daughters occupied the backseat, and the floor in front of them was full of snacks, water and other things we thought we needed. Each time we made this nearly 1000-mile round-trip trek, I questioned how we could feel more comfortable in our vehicle to allow for an enjoyable ride. There was always lively discussion regarding the amount of trunk space, because of the possibility that we didn’t pack everything we might need for the journey. Is this the case in your life? Are you overpacking for your “journey,” afraid you won’t have what you need for any and every possibility? Since possibilities are not eventualities, perhaps it’s worth considering the value of keeping your spaces clear. Space equates to margin. What space(s) you ask? Well, consider that a few of these can be your financial space, physical spaces, relationship space, spiritual space, emotional space and even your mental space! Keeping these areas free of clutter goes a long way to helping you reduce the amount of overwhelm in your life, because you aren’t attempting to focus on the myriad of things appearing before you, and those things aren’t weighing on your mind. Clutter utilizes your energy much like your smartphone uses battery power when it attempts to refresh open applications – even when you aren’t using them! Could we miraculously reduce our levels of overwhelm by ensuring we have margin in just two areas of our lives? Where do we start? The two areas I recommend you begin to look at are your finances and physical space. I’m sure you can think of more, but these two categories provide the greatest opportunity to grow our margin. Financial margin (ex: savings) allows you the space to pursue a career that will help to engage and fulfill us, not merely provide a paycheck. It also gives you the ability to donate time, talent and treasure to the charity of your choice in a meaningful and intentional way. Margin in your finances is so important that lenders factor this into their equations to determine our credit worthiness. One of these equations is called the debt to income ratio. Essentially, this is a measure of the amount of margin in your finances, and borrowers with a lower percentage (more margin) are seen as a better credit risk than those with a higher percentage. Financial margin is miraculous because it allows us the freedom to engage in a meaningful career, and be a true miracle to those in our local and world community. As an example of physical margin, consider something as simple as a book and perhaps as complex as any living space. Readers know that words don’t dominate each space on the page of a book. Margin appears on the top, bottom and sides of each page as a frame for the reader. Shouldn’t your life enjoy the same frame, buffer or margin? When you walk into a cluttered home, workspace, or car interior from one that is uncluttered, you can feel your energy shift as the space feels more constricted. Physical margin is miraculous because it can play a part in raising our energy levels, and the miracle of focus seems to occur more easily when our spaces are less chaotic. Have you stopped to consider the costs of a life with little to no margin? I believe it becomes a life of overwhelm, a life absent of giving to others, fewer mentors and coaches for our children, less time spent with our significant others, and less engagement in our jobs. I submit the reason for these issues may be that there’s little to no margin to allow for generosity. There is no room to give. Given this, how do we develop this margin when everything seems so complicated, so overwhelming, and takes up so much of our time? Regardless of where you are in life, here are a few basic beliefs you can adopt along with bulleted action items you can begin today to help increase your financial & physical margin. 1. Part of all you earn is yours to keep. Begin by saving 5% each time you’re paid, with the goal of saving 10%. Tithe your money to areas where you’ve received your blessings. 2. Each day is yours, even if you work for someone else! Begin each day by waking 15 minutes earlier, and gradually get to an hour earlier. Get involved with a cause whose dreams match the size of yours. 3. You were put here for a reason and it’s up to you to find out why. Turn the television off an hour earlier each night. Begin a journal to write what you’re grateful for each day. Take the time to mentor others. Use the share buttons to tell us which beliefs and actions best serve you. 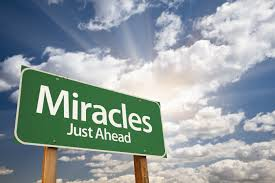 How many of the above beliefs and actions will you adopt to make your days more miraculous? Good practical advice Alvin. Thanks. Thank you Chris! Was there anything in particular that stood out for you? Great information. I realized I have limited physical margins! Thanks for jump starting the thoughts! You are welcome Marimeko. Remember that you can expand your margin by decluttering in the category of the physical. As we adopt something new in our physical space, we need to release something that no longer serves us. I like Alvin!! Very good point and very true 🙂 This could have definitely been said many year ago in my life! I will definitely share it with other. Cynthia – Thanks so much for sharing this post. I know you are an inspiration to many! 3) Just as I develop budgets to help prioritize my spending and manage my money, I should also ask myself before making a purchase whether it aligns with my long-term goals or whether I am robbing myself of margin from both my financial and physical space. I like your inspired actions! Again – I’m sure this is what you meant – but I call it out for the benefit of our larger audience. Based upon your focus, you would benefit from the incredible tips & advice Helen provides during our conversation. Thanks for the practical advice! As someone getting started in the working world and planning out my career goals, these are important factors to keep in mind. You are most welcome! I appreciate you for taking the time to comment. Mentoring: 6 Actions That Add Value! Receive my newsletter, timely emails and other fresh content FIRST by entering your information below.